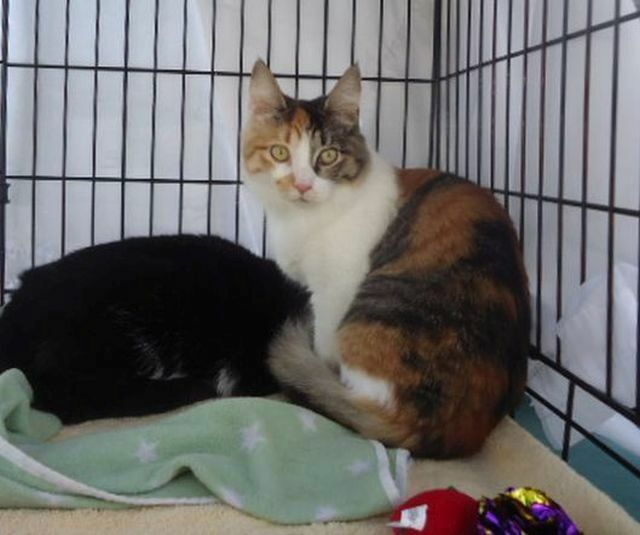 This beautiful Calico with a bushy tail is very playful, friendly and outgoing. She loves to be the center of attention. Her favorite place to nap is high up in the cat tree. Kali enjoys the company of other kitties and likes to boss those younger than her around a bit. But they don't seem to mind being chased and wrestled with. She would love to have a kitty friend to hang out with in her forever home as she is very active.